Happy Wednesday! 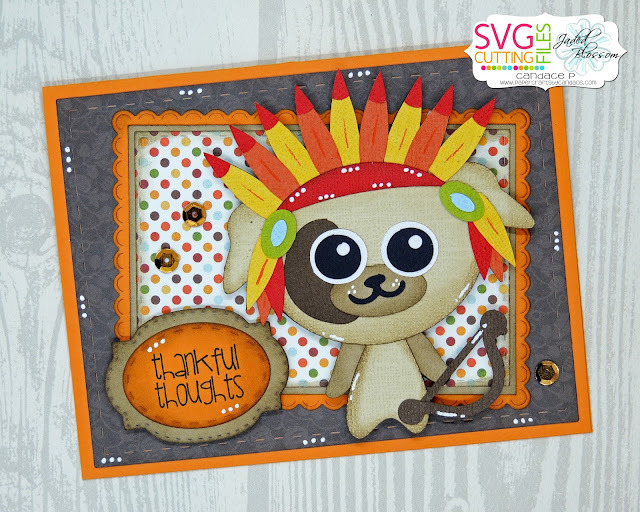 Candace here and today is my day over at SVG Cutting Files. I have a new CUTE file to share with you- Love this new Indian Chief Puppy! I decided to use him on a card. I used Jaded Blossom's Card Mat Dies, Scallop Rectangle Dies, Rectangle Dies, Label Shape Dies, Oval Dies and Lets Talk Turkey stamp set to complete my card. Thanks so much for checking out my card today! These are just adorable, the puppy is so sweet.